A trim fitting, minimalist running jacket with hood. 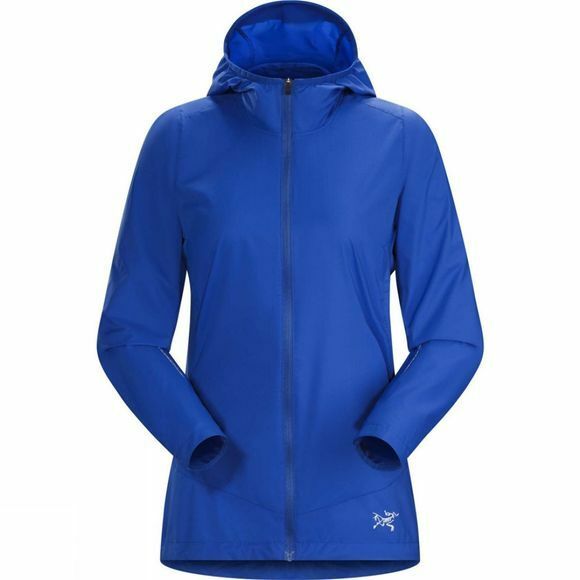 Constructed from windproof, water-resistant fabric in the body and sleeves, with large, open-mesh underarm panels, the Arc'teryx Women's Cita Hoody keeps your body heat under control. Reflective blazes improve visibility in low light and a slight drop hem protects your lower back. A small fitted hood adds extra protection. Stows inside its own pocket. The motion-friendly trim fit is patterned specifically for women, delivering a streamlined silhouette with room for a moisture wicking next-to-skin layer. Arc'teryx' e3D patterning enables greater articulation and range of movement with minimal bulk.